Listing courtesy of Roberto Rodriguez (CalBRE #01859103), Compass. There’s nothing more important than the details. This rare, like new, open floor plan pool home is both comfortable & stylish. 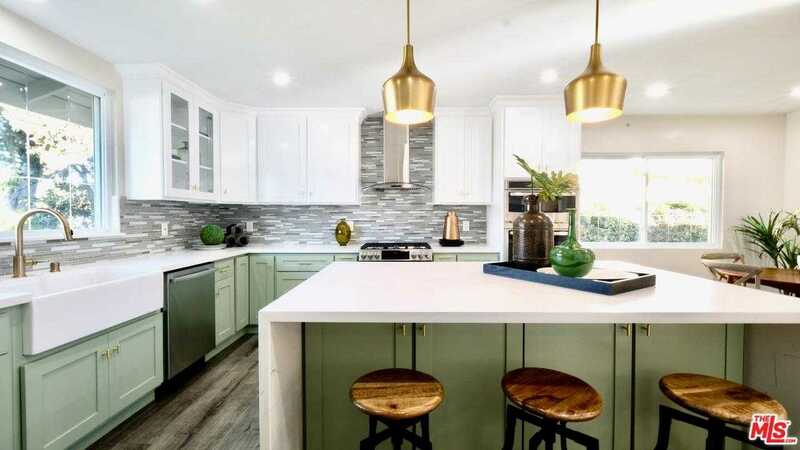 The many windows & recess lighting keep the space airy & bright & the pop of color and deluxe kitchen give the perfect dose of luxury & personality. A bathroom isn’t complete unless there’s a colorful mark on it & each bath carries a unique flair proving that the tried & true neutral color scheme is no longer the safe bet. The master suite is a true escape where you can indulge in the carefully curated design or find balance in the timeless vibe. Enlivened with new sod, privacy fencing & a re-plastered pool the .25 acre lot is ready to host & impress your most discerning guests. We know true beauty is more than skin deep so new life was also given to the home systems. If you refuse to settle for cookie cutter normal, then this perfect blend of modern, vintage & traditional will surely be admired on a mobile screen but falling in love only happens in person. Building size: 2559 sq ft.